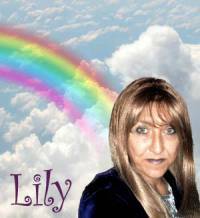 Lily is a popular reader who has a worldwide clientele and is often in great demand. Her readings are empathic and clearly focused to bring forward concise answers to your questions especially in emotional and relationship areas. Lily is absolutely brilliant, highly focused in her readings and can assess personality traits, strengths and weaknesses . She is extremely empathetic, caring, and LISTENS to you and will answer questions as they are. From experience of past readings and regular readings she has been totally sincere, and amazingly right about current and future situations or circumstances. Only thing is time goes very quickly when you talking to LILY , as you never want to stop hearing what she really has to say about your situation or reading . Thank you Lily for all your help and support, and I hope you will always be there for me, and thank you for all your excellent readings. Lily will amaze you with her skills of assessing situations and her interpretations of your readings and her innate psychic ability. She is extremely positive in her readings and her people skills compares to none. She listens to YOU and to the thoughts and feelings that she picks up psychically, and will tell you as she sees it . She is very caring and empathetic, and will always tell you things as they are and not as you want them to be and is extremely patient .......and understanding. I know this, I always end up asking hundreds of questions, sometimes again and again , and she is always ready to answer them as she sees them in her reading . Extremely supportive and always a pleasure to speak to her, about any situation. I hope lily will always be there at Wishing Moon, because if you are wishing for some answers to your questions then LILY is the person to talk to . I am sure you will see what I mean, after talking to her, she has that gift to help others. Thank you Lily for all your support, and for being there for me and most of all for being totally honest with your readings, and I know as so much has happened as you said it would. Thank you again. Lily - because she does both cards and pendulum, you can get a short, quick answer or a more in-depth look at any issue. Very warm, it's like talking with a good friend. Lily this poem is for you. The moon has guided me all my life, and I work closely with my spirit guides, I can see, hear, feel and smell spirit. I am also telepathic, and an experienced counsellor. I strive to be caring and considerate to all people. I am intuitive, and I have dreams that come true. I enjoy automatic writing, using my pendulum & tarot cards, which help me to connect to my clients. My guides also help me to perceive problems around you and help me to see your future so as I can help you in a positive way. I have had several readings with Lily and each time the information she gives is uncannily uplifting! Wow, readings don?t get much better than this, Lily is fabulous. Absolutely fantastic, will call again.